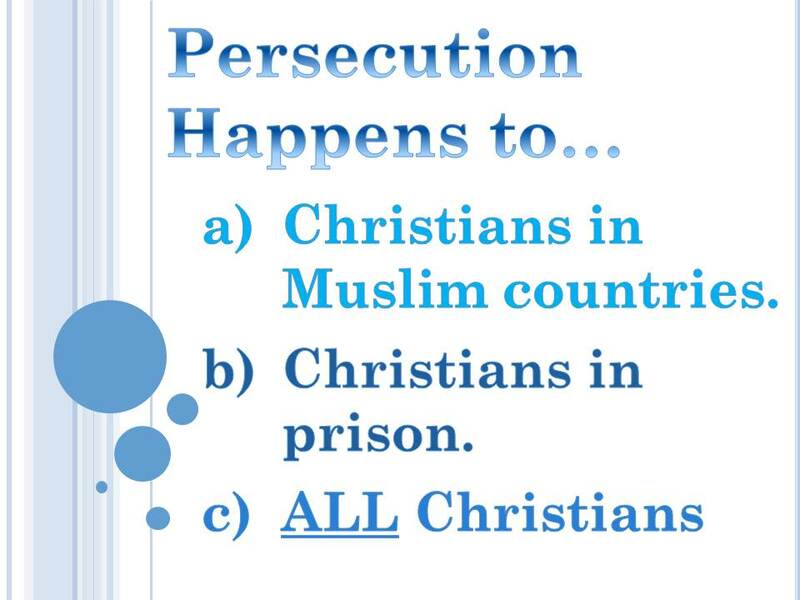 In my prior blog post, I noted that there are at least 5 reasons all Christians should identify with persecution. First, the New Testament says that all Christians will be persecuted, and the persecution could take several different forms, from the mild mocking and name-calling to the more severe imprisonment and execution. Second, Christians are united in one body. Thus, attempts to distinguish between those who are “really” persecuted and those who are not introduce artificial division in the body of Christ. This leads to the third reason all Christians ought to identify with persecution: Unity in the body of Christ. Throughout the New Testament, there is a constant urging for Christians to live in unity. Jesus famously prayed for us all to be one (John 17:19-20ff.). In John 17:23, He asks the Father to perfect us in unity so the world might know the reality of His appearing. On this basis of unity within the body of Christ, the writer of Hebrews commands Christians to “Remember the [persecuted] prisoners, as though in prison with them, and those who are ill-treated, since you yourselves are also in the body” (13:3). The connection between persecution and the unity of the body of Christ is unmistakable. It is as plain as it is well-pictured by the human body itself. If you have a leg injury, it impacts your entire body. Drop a 10 lb. weight on the little toe of your left foot, and your entire body will respond accordingly (even if not appropriately). So it is supposed to work within the body of Christ. There is a unity of the body which insists that the persecuted be noticed—that they be “remembered” as though we were actually in the prison cell with them. We are commanded always to identify with suffering saints in unity within the body of Christ. Fourth, Christ is present in the midst of the persecuted—and what Christian does not long to be where Christ is? Christ, of course, is always present with His people, but the New Testament emphasizes several occasions in which Christ distinctly promises to be in the very midst of His gathered people. Christ promises His presence when His people gather together to practice church discipline (Matthew 18:20). He is present when His people gather to worship (1Corinthians 14:25). He is present when His people are making disciples of all nations (Matthew 28:20). He is present when His people minister to other Christians in need (Matthew 25:40, 45). And He is present when His people are suffering persecution. And the answer they are given, apparently, is that the Lord will indeed avenge their blood on the heads of those who persecuted them, but He must first wait until the full number of martyrs is complete. One gets the sense from Revelation 6:11 that the reigns of history are at least partially held in reserve until an appointed persecution is complete. At which time, Christ will free His white horses to ride upon the clouds descending upon the earth to exact perfect justice against those who opposed Him by persecuting His body (Revelation 19). What Glory! Finally, the fifth reason all Christians ought to identify with the persecuted is that the persecuted are blessed people! According to the New Testament, the kingdom belongs to the impoverished and the persecuted (see the first and eighth Beatitudes, Matthew 5:3, 10). Does it sound strange to call persecution a blessing? 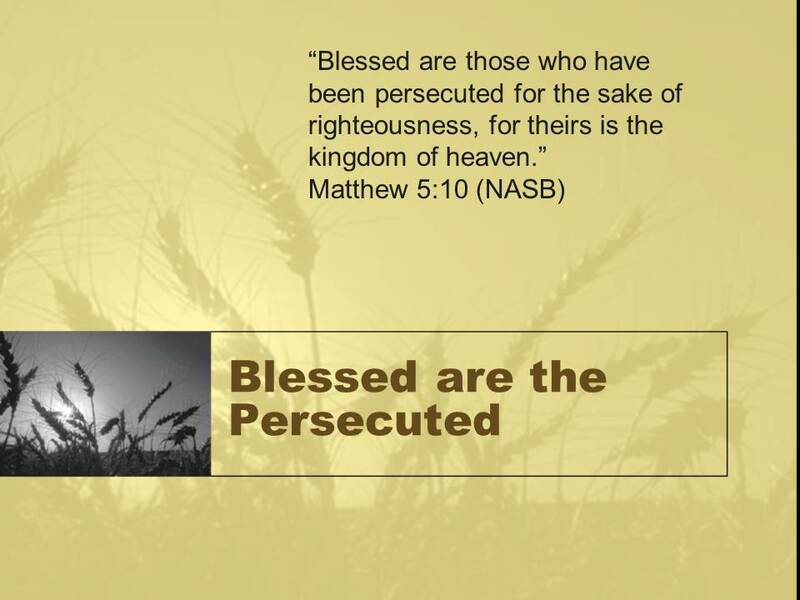 It’s a strange and hard thought for my American Christian ears to hear, but it is true nonetheless that persecution is considered a blessing in the New Testament. Consider it all joy, my brothers, when you encounter various trials (James 1:2). Failure to identify with the persecuted represents a failure to recognize the blessed life in Christ. Surely, more than a few health-and-wealth, prosperity prophets have hauled in tons of followers and loads of cash by promising their hearers a “blessed” life. We know how wrong such preaching is, but are we altogether right about what it means to be blessed on Jesus’s terms? Identifying with persecution may help us realize what abundant life really is as promised by our Lord. Don’t all Christians long for the abundant life Jesus said He came to give? Somehow, that abundant life includes both persecution and blessing. May the Lord grant us faith to embrace and receive all that He has to offer us.